Pre-workoutAmix CellEx Box - 120 kaps. 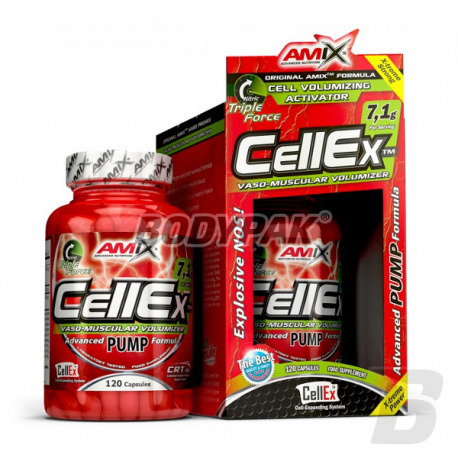 Amix CellEx Box - 120 kaps. 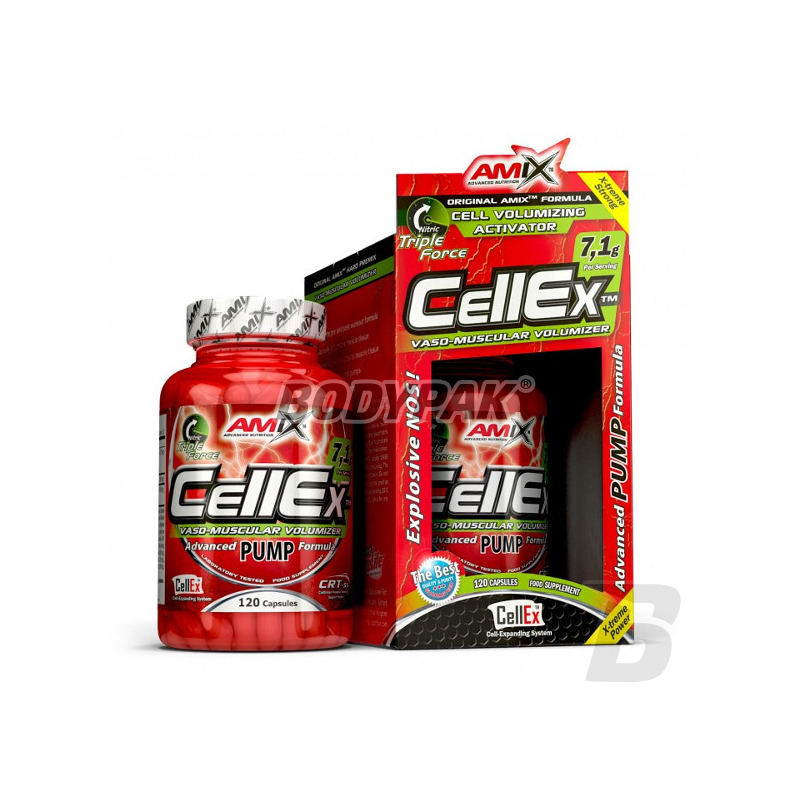 Cellex ™ Box is a pre-workout booster nitrogen n.o specially designed by AMIX. INCREASES BLOOD SUPPLY TO THE MUSCLES AND FEELING THE PUMP DURING TRAINING! DOES NOT CONTAIN ANY FILLERS OR MALTODEXTRIN! CONTAINS WELL KNOWN, SCIENTIFICALLY PROVEN INGREDIENTS THAT DELIVER MAXIMUM INTENSITY IN TRAINING! AMIX™ used cutting edge technology and designed the ultimate "round-the-clock" vaso-muscular volumizer CellEx™. This special pre and post workout formula rapidly increases blood flow in muscle tissue that leads to improved performance, increased energy levels and higher resistance to fatigue during gruelling workouts or any kind of strenuous performance. Each capsule of CellEx™ contains a mixture of CellEx™ CVA (Cell Volumizing Activator), CellEx™ NITRIC TRIPPLE FORCE COMPLEX and L-Citruline Malate to ensure great pumps (muscle expansion), better cardiovascular performance and faster recovery after workouts. Methocel® CRT-ss (Controlled Release Technology Support System) secures continuous supply of important nutrients to muscle tissue throughout the day. The basic daily dose is 10 capsules. Take 5 capsules in the morning on an empty stomach and 5 capsules approx. 30-60 min. before physical performance. Other Ingredients: Gelatin capsule (pure gelatin, water, titanium dioxide), magnesium stearate, silicon dioxide. Polecam, przed treningiem w sam raz!